HKPNC is delighted to provide the authentication service. Through in-house specialists and consultation with external experts, we can offer an accurate opinion on the authenticity of items submitted to us. Please note that we do not currently offer certification. We also provide professional valuations and appraisals services for full collections as well as single items, mo matter whether you are looking to sell or are simply looking to establish current market prices. 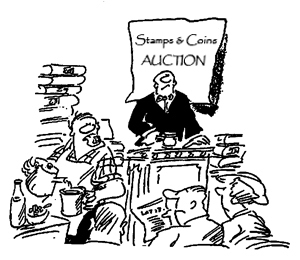 For large private collections or institutional collections, as well as for individuals requiring valuations and appraisals for probate or insurance purposes, we can provide a formal, written report including the condition of the items, historical transaction prices and information on recent sales of comparable items. Confidential verbal valuations and appraisals are generally free but we do charge a modest fee for the written report, based upon our time involved and level of details required for the report. However for valuations and appraisals requiring significant time or travel expenses, we reserve the right to seek reimbursement of reasonable out-of-pocket expenses. In the event that any transaction is completed with us, any such expenses will be waived or reimbursed in full. You are always welcome to bring items to our office for evaluation during which authenticity and value of single items or small collections can often be estimated immediately. Alternatively if you are unable to visit our office in person, please send us clear images of the items in question. 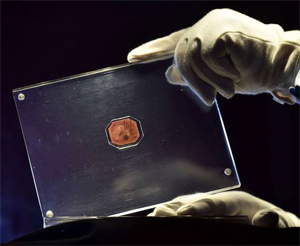 While it is often possible to authenticate and evaluate the items by images alone, naturally first hand inspection is the best way for an accurate initial authentication, valuation and appraisal. We provide extensive, individualised and professional advice as you are looking to sell your collections or build your own specialized collections. 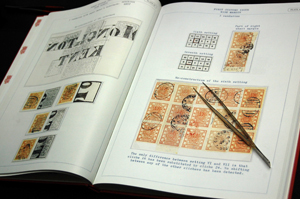 Additionally we share our experience and know-how regarding investmens in philatelic and numismatic areas. Whether you are a seasoned collector or looking to get into these burgeoning collecting regions, you can turn to HKPNC for advice. We can help you create exceptional collections with our expertise and enthusiasm. As interests in premium issues from Greater China continue to grow across the globe, we are committed to securing the best items and provide you a lifetime guarantee of service. 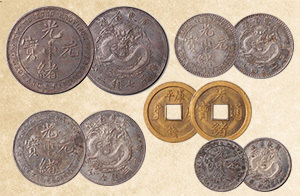 HKPNC has been a long-time participant in major philatelic & numismatic auctions in East Asia and Europe, and is therefore very experienced in executing client's bids securely and efficiently. As part of our representation service, we are able to deliver to our clients detailed condition reports on any items of interest, in which all defects or attributes of the items concerned unmentioned in or invisible from the catalogues or online images will be properly identified. 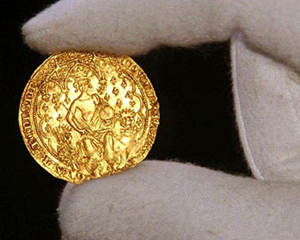 The condition and value of all items are determined under discreet examination and appraisal by our specialists. In terms of suggested bidding price levels, we can provide you with reliable advice based not only on the condition of the item, but also on the historical transaction prices, market activities and recent trends. 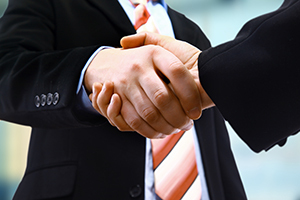 We conscientiously and rationally place clients' absentee bids provided to us in advance. A live telephone bidding service is also available for clients who prefer to participate in bidding live. HKPNC has over the years developed a reputation of sourcing and offering items of the best quality, and we are pleased to have our expertise at your disposal to assist you in the screening any of items offered at an auction. We will ensure that every item you successfully purchase forms an indispensable part of your collection or investment portfolio. HKPNC’s Private Treaty Sale can be characterized by flexibility, immediacy and discretion. Our specialists in their respective fields will work one-on-one with you to offer advice on private treaty sale strategies and assist you in shaping your collection. You can contact our specialists who are most relevant to the items you wish to acquire, and we will do our best to quickly locate the items that best meet your needs. Our specialists will strive to identify possible private treaty sale opportunities until your requirements have been met. We are engaged with collectors worldwide and will utilize our global network to assist you in acquiring the finest items specific to your needs. If you are considering selling any items through our private treaty sale, we will assess the best method for marketing your collection and maximise the sale potential of your items after our specialists examine and appraise your items. Our specialists will work with you to develop a personalised sale strategy that will be the most beneficial for your specific needs based on our market access and global insights. All private treaty sale enquiries will be treated with the utmost privacy and confidentiality. When you consign any item to us for private treaty sale, we will present you with an agreement outlining our exclusive right to offer the items for sale for a specified period of time. We will then begin to discreetly introduce your items to individual potential clients, one at a time, while keeping you informed of our progress. We never disclose the identity of a buyer unless it is the express wish of the client to publicize their identity, and all aspects of our private treaty sale are kept in the strictest confidence, even for the transaction prices.